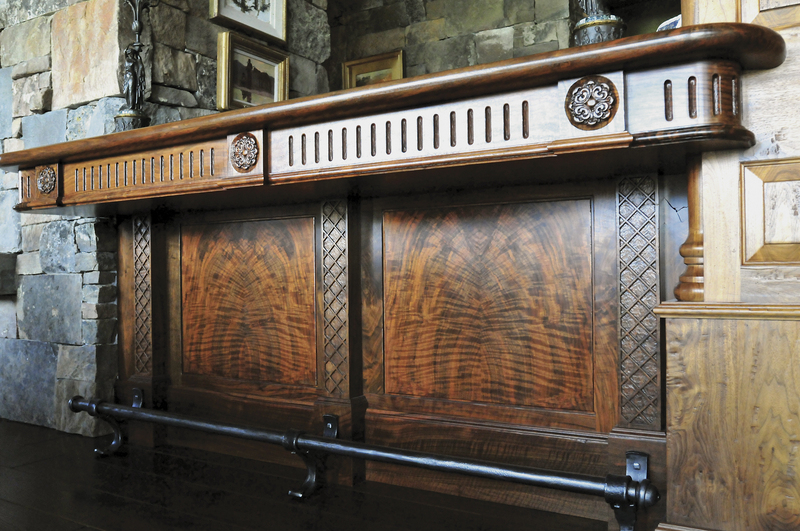 Mountain High Woodworks, one of the premiere high-end custom cabinetry shops in the region, is the brainchild of Richard Garwood. Three decades ago Garwood began in a little shop up a logging road in the Bridger Mountains. Business has been lively for Garwood and his longtime staff, including facility manager Shawn Green, who has been with the business for 25 years. Today, when Garwood opens the door to his Mountain High Woodworks showroom, the room seems a little unfinished, although it’s been in operation for years. “We just haven’t had the time to get it done,” he says, his eyes smiling as he opens another door to the workroom. 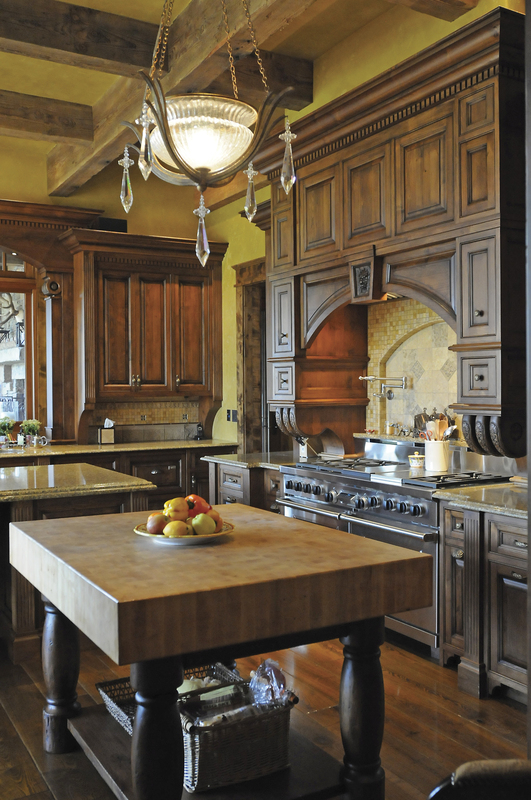 Mountain High Woodworks has grown into a 13,000 square foot woodworking facility that is dedicated to the design and fabrication of premium grade custom cabinetry and furniture for some of the most attractive homes in the mountain West. Mountain High Woodworks recently finished up a large project — a two story octagonal library with walnut and claro walnut built-ins, coffered ceilings as well as a spiral staircase with curved glass insets. His personal joy in completing a project of that caliber is palpable. It is the kind of pride of work that places Mountain High Woodworks in the top echelon of their class. 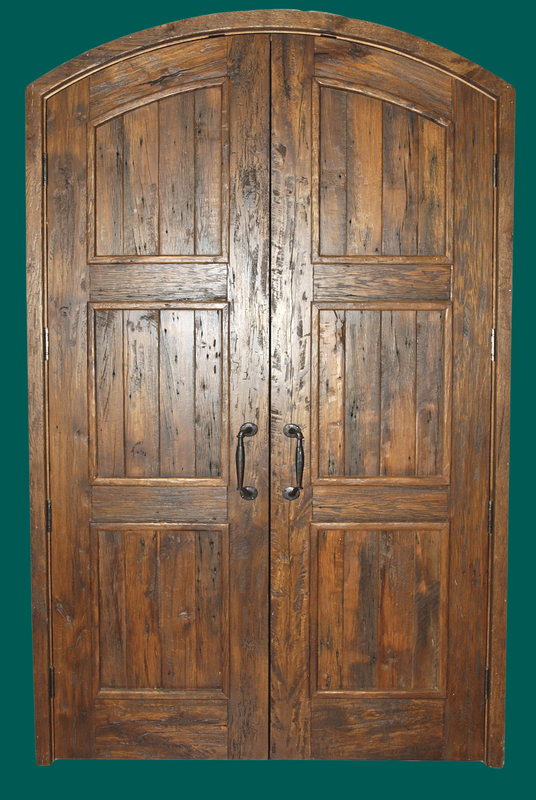 After making a name for himself with Mountain High Woodworks, Garwood reached out to Southwest Door Company in Tucson, Arizona, for their highly customized Old World style doors. There he found something that hadn’t been seen in the Northwest before and soon he represented the company — now Architectural Traditions, in Montana. That partnership marked the beginning of Montana Sash & Door. Mountain High Woodworks and Montana Sash & Door work together to offer clients an unparalleled result in coordinating styles and finishes for the ultimate one of a kind home.